One of the women I work with, Wendy, has been raving about Giordano's Deep Dish Pizza. I think she kept saying "The cheese, oh the cheese..." She has been suggesting that we place an order online for quite some time. Finally 4 of us ordered some pies. 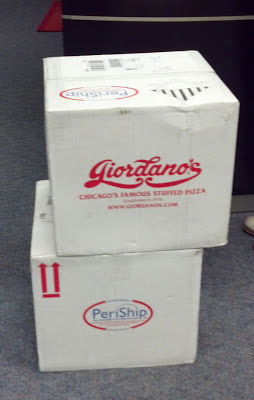 The pizzas arrived on Wednesday. The excitement was building. The next day the reviews were in and another order was going to be placed. I still had not had our pizza. I ordered the Stuffed Sausage Pizza and the Stuffed Spinach Pizza. 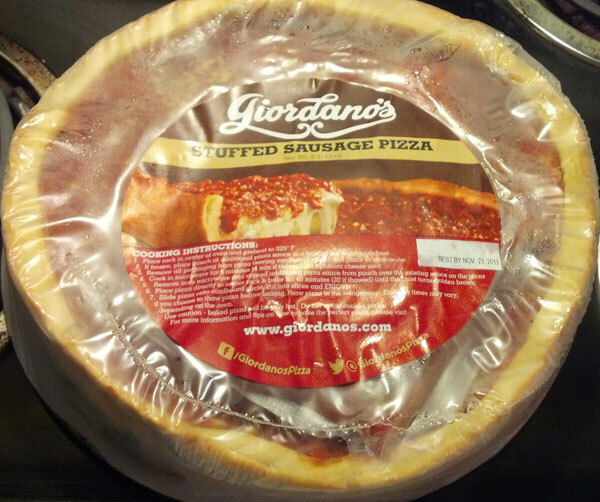 Tonight we tried the Stuffed Sausage Pizza. 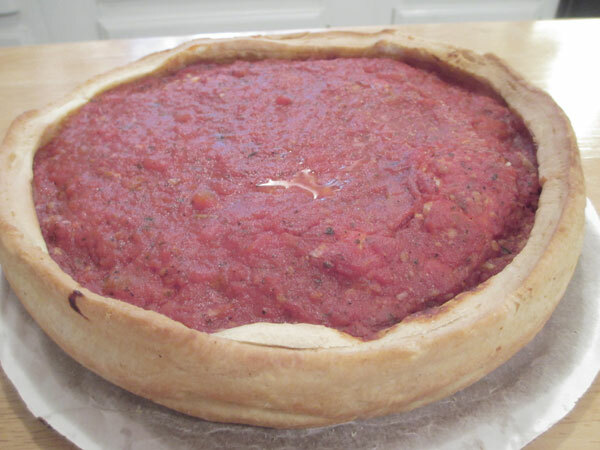 It was my first time eating a Deep Dish Pizza. What the? How much cheese is in this? This sauce is sooooo good! And the crust! 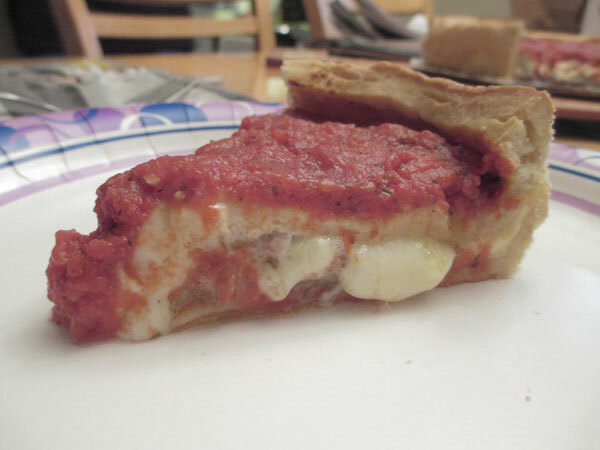 Any regular visitor to this blog knows how I love crust. This crust was so perfectly crisp and light. And this was a frozen pizza! Amazing. Delicious. Fresh tasting. Can't wait to try the Spinach Pizza! I had 2 pieces of this pizza and then a tiny slice from another piece. Could I have eaten 3 pieces? Yes but then there would be less for tomorrow! And yes I will be ordering this again!